How to Change Apple Security Questions? Apple introduced security questions to give you an additional way to identify yourself online or when contacting Apple Support. This is also one way to ensure the security of the data on your device and since they are designed to be memorable to only you, making it difficult for someone else to gain access to your accounts. But what if you need to change the security questions you are using currently? Here we analyze this question providing you with all you need know about how to change Apple security questions. What to Do If You Forgot the Answers to Your Apple ID Security Questions? How to Reset Apple ID Security Questions without a Rescue Email? 1. How to Change Apple Security Questions? Step 1: Go to https://appleid.apple.com/ and sign in to your account. Step 2: Click "Edit" in the security section. You may be asked to enter the current security questions you have. Step 3: Click "Change Questions" and choose new questions. Step 4: Add and verify an email address you will use to recover the account if lost. 2. What to Do If You Forgot the Answers to Your Apple ID Security Questions? If you forgot your Apple ID security questions you can reset them at https://iforgot.apple.com/ using these simple steps. Step 1: Go to https://iforgot.apple.com/ and enter your Apple ID. Click on "Continue". Step 2: Click on the option to reset your security settings and then click "Continue." Step 4: Follow the on-screen instructions, as Apple guides you to verify your identity. If there are no options to verify your identity, you may need to reset the security questions. Step 5: One you've verified your identity, select new security questions and answers and then click "Continue." 3. How to Reset Apple ID Security Questions without a Rescue Email? To reset the Apple security questions, you need to have a rescue email. But if you misspelled the rescue email while you were setting up the questions, you may be unable to get a link to reset them. It is important to note that Apple has support staff that will help you with this problem. When requesting to reset your Apple ID question, click on the "If you don't have a rescue email address" link to get help from Apple Support. 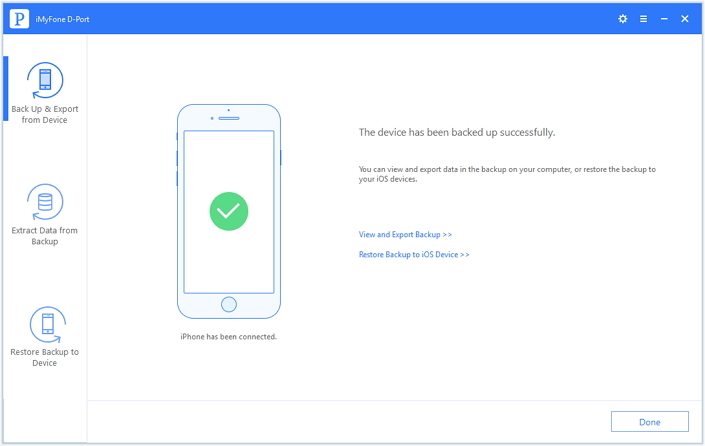 Before changing the Apple security questions or anything on your Apple account and device, it is a good idea to back up all the data on your device just in case you lose some of it. 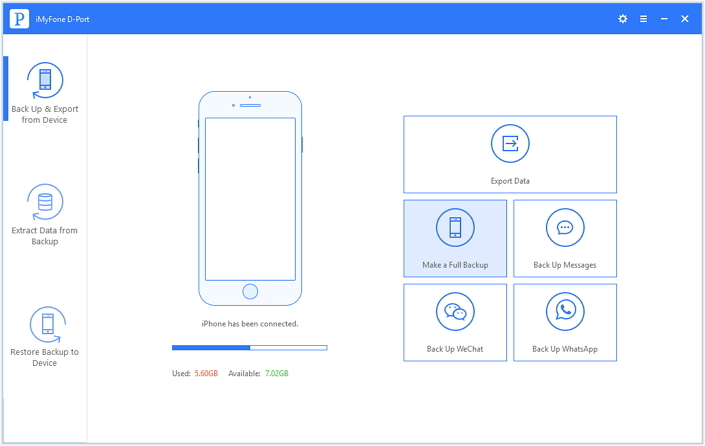 To easily and quickly create a full backup of all the data on your device, you need a backup tool that is much more convenient and better than Apple's iTunes and iCloud services. You can back up the data on your iPhone selectively, something you can’t do with iTunes or iCloud. You don’t have to worry about having a Wi-Fi connection or storage space when backing up using D-Port. You can also use it to view the data in iTunes or iCloud backup for iPhone. The program’s backup function is completely free to use. How to Back Up Data on Your iPhone using iMyFone D-Port? Step 1: Download and install the program to your computer and then in the main window click "Back up & Export from Device" from the left panel. Then click "Make a Full Backup." You may need to connect your iPhone to the computer at this point. Step 2: Then simply click "Back Up" and the program will immediately begin backing up the device. Ensure the iPhone remains connected through the entire process. You can use iMyFone D-Port to backup only a section of the data on your device. For example, using the same steps above, you can easily back up just WhatsApp data or Messages on the iPhone and for free. Apple security questions are aimed at ensuring no one else can gain access to the data in your account. Now you know how to set them up and change them. But before you reset your security question, remember back up your iPhone with iMyFone D-Port in case any data loss.